Organic cows are happy cows according to Bio Suisse, the federation of Swiss organic farmers. They have a much higher standard of living and subsequently are said to lead happier, longer lives. This is in part having an impact on the growth in the organic dairy sector as consumers are becoming increasingly concerned about where their food and drink comes from. Organic dairy is one of the largest sectors within organic food and drink according to OMSCo Organic Milk Market Report. To continue to drive this growth, Bio Suisse, wanted to raise awareness of the high animal welfare standards in organic farming and show that when cows are happy, people are happy. And, how do you make a cow really happy? By giving it a massage of course! 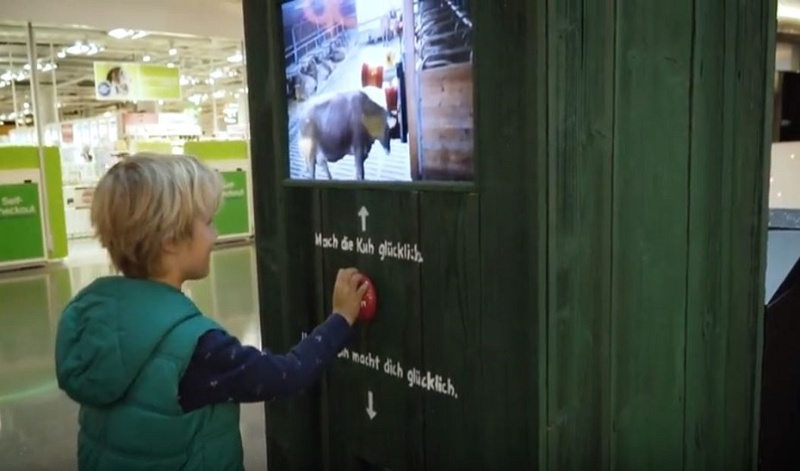 Bio Suisse brought a whole new dimension to product sampling with an unusual vending machine in a Zurich shopping centre that dispensed free sample cartons of Bio Suisse milk to people in exchange for massaging a cow. Using clever remote technology, shoppers could deliver a massage to cows on a Bio Suisse organic farm 50km away through the simple press of a button. The vending machine contained a screen that allowed people to watch the cows enjoying the massages through a live internet feed. 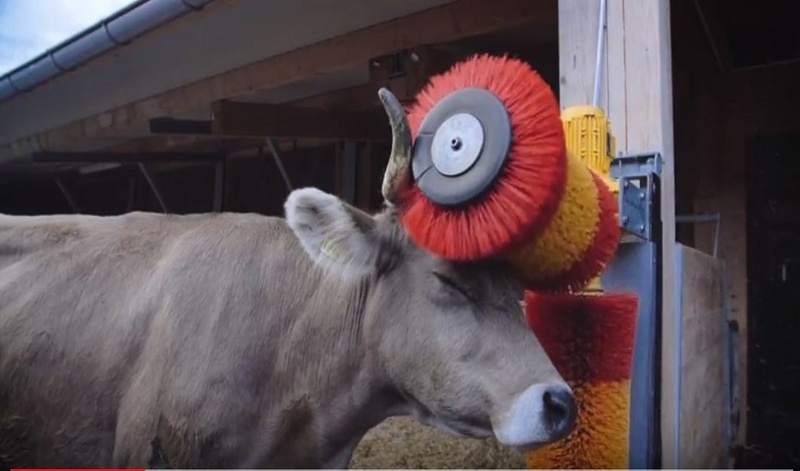 Similar to a car wash, the automated massage was deployed using rolling brushes that massaged the cow’s back and head, and the pure delight was clearly evident on the cows’ faces. The campaign had a clear and simple message: Make the cow happy. And in turn, the cow will make you happy. It was well aligned with Bio Suisse’s brand tagline ‘people, animals and nature in balance’ and mission to show how people and nature are connected. The activity could have been enhanced with a digital and social element that encouraged people to share the message on social media, this could have increased the campaign reach and amplified the experience. Walkers combined social media with product sampling brilliantly with its twitter activated vending machine that got people tweeting in exchange for free crisps. Like these campaigns, effective sampling isn’t just about getting product into people’s hands. It’s also about creating a memorable experience. To make sure that your sampling campaign gets people talking long after their free ‘taster’, read these Seven Steps to Sampling Heaven.